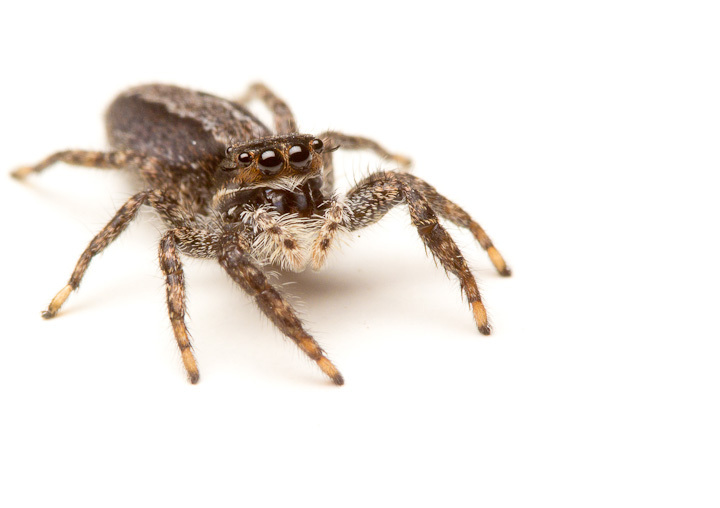 This lovely jumping spider is a common sight on walls around the Vancouver area: meet Platycryptus californicus, a member of the Marpissinae subfamily of Salticidae. 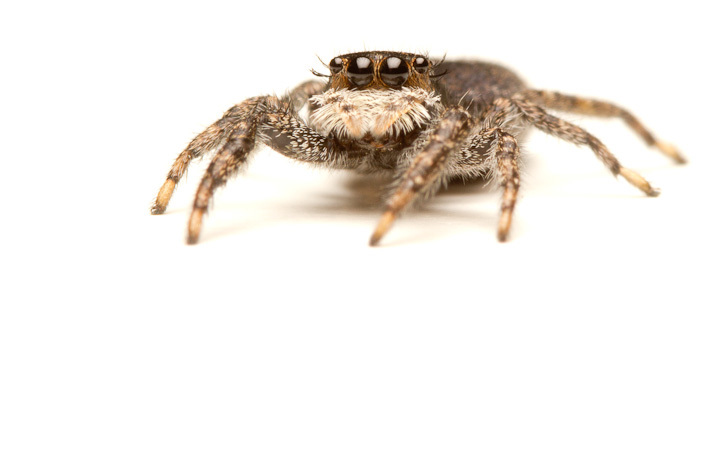 If you live in Eastern North America, another Platycryptus, P. undatus is also common. 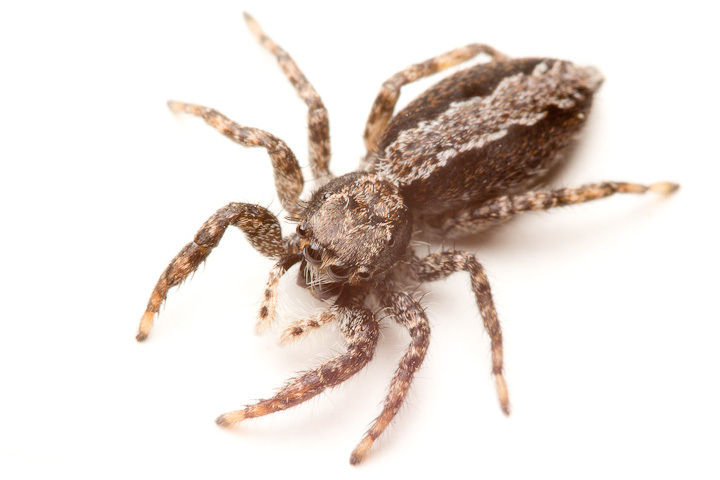 At first glance, P. californicus seems a wee bit boring. They are overall grey and drab, and hang out on grey drab walls. 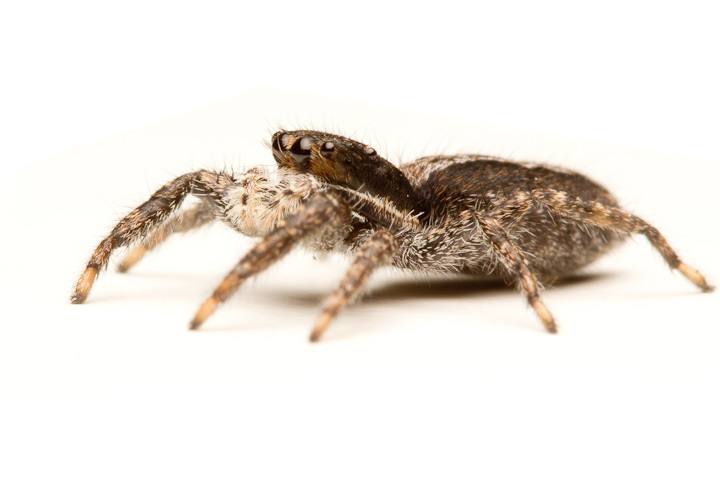 When shot up close on white, however, these little salticids reveal their beauty. I found this one yesterday on a wall in my back yard, and a couple days ago one was in my living room. This is truly one jumper that has adapted well to the urban habitat. The greyness and drabness help these little jumpers blend in to rocks and now concrete. The drabness is not complete however, as there are rufous hairs scattered around, particularly near the eyes and on the sides of the abdomen. A bold white stripe is evident on the lower portion of the prosoma, just above the legs. Unlike some other species, these jumpers seem to pause every once in a while, which makes photography easier. Check out those cute little eyelashes! 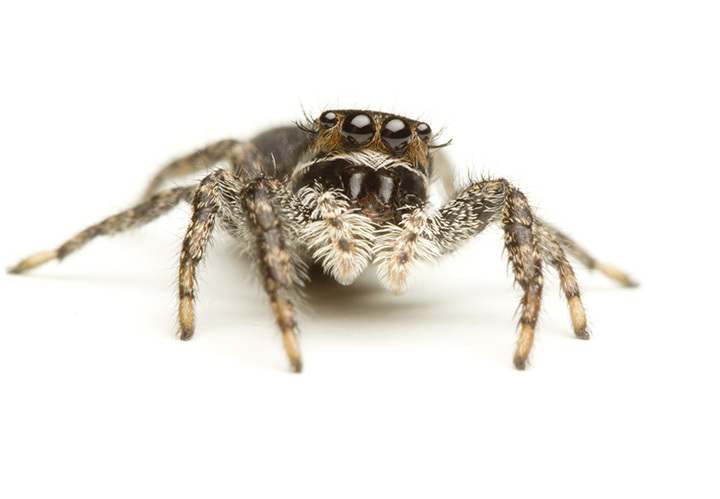 This entry was posted on July 17, 2013, in Uncategorized and tagged macro, photography, Playcryptus californicus, Salticidae, Spiders. Bookmark the permalink.